Americans, and especially American Jews, say this kind of thing a lot. It sounds banal, even self-evident. But it’s absurd. The fiction underlying Kushner’s contention is that Israel and the P.A. are independent actors of roughly equal power. They’re like two people bargaining over the sale of a house. It’s up to them to agree on a price. Or they’re like two countries negotiating a trade deal. Why should a third country dictate the terms? The problem with this analogy is that Israel and the P,A. are not remotely independent actors of roughly equal power. Israel is a modern state that wields ultimate control over every square inch of the West Bank. The P.A. is Israel’s subcontractor. In certain parts of the West Bank, it performs functions — running schools, collecting garbage, arresting criminals — that Israel would rather not perform itself. It performs those functions for Palestinians only; it has no authority whatsoever over the West Bank’s Jews. When the P.A. was born from the 1993 Oslo Accords, many Palestinians hoped it would evolve into a sovereign state. But it has not. The P.A. has a parliament: It’s called the Palestinian Legislative Council. And when members of the Palestinian Parliament do things that Israel does not like, Israel arrests them. Thirteen Palestinian parliamentarians currently sit in Israeli jails. Students of colonialism have a term for this kind of arrangement: indirect rule. The British controlled India and Nigeria, but British colonial administrators did not run most of the day-to-day functions of government. That would have been too expensive. To a large extent, they permitted local Indian and Nigerian rulers to administer their people as they saw fit, so long as they didn’t threaten Britain’s ultimate control. In its power dynamics, negotiations between Israel and the P.A. are a bit like negotiations between the colonial Maharajah of an Indian princely state, or a Hausa-Fulani king in colonial Northern Nigeria, and the British crown. The colonial subcontractor is not entirely powerless. If he refuses to carry out his duties, he can make life for his overlords difficult. But, ultimately, they can depose him, not the other way around. They have an army. He does not. That’s why Kushner’s response to Abbas is so absurd. When one side wields massively more power, saying the “way forward” is up to “the two sides” is tantamount to letting the more powerful side impose its will. Imagine a foreign official saying he would not endorse any particular outcome in the segregated south because it was up to white and black Southerners to determine the “way forward.” African Americans deserved equal citizenship in the United States. West Bank Palestinians deserve to be citizens of a state, not colonial subjects living under the control of a government — Israel’s — for which they cannot vote. The problem, as Frederick Douglass famously said, is that “power concedes nothing without a demand.” So the role of influential outsiders is to help people who lack basic rights make that demand in an effective and humane way. It is to tip the power balance in favor of justice and freedom. Justice and freedom, you’ll notice, are words that Kushner, Trump and Republicans in general almost never use about the Israeli-Palestinian conflict. They talk about “peace” without recognizing that without freedom and justice, “peace” is just submission. Some enterprising journalist should ask Trump whether he’d support a deal that consigns Palestinians to permanent statelessness. Someone should ask whether he’d support a deal that transfers them to Jordan. My guess is that he wouldn’t understand the question. Might makes right is among the guiding principles of his life. It’s hardly surprising that he wants to apply it to the Middle East. 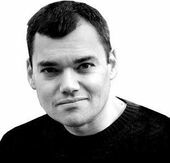 Peter Beinart is a Forward senior columnist and contributing editor. Listen to his “Fault Lines” podcast with Daniel Gordis here or on iTunes. This story "Jared Kushner Just Made A Huge Blunder On Peace In The Middle East" was written by Peter Beinart.